These have to be seen to be believed. Earlier this evening, it was revealed that students at Edith Cowan University (Joondalup campus) were handing out these stickers at their Orientation Day today. 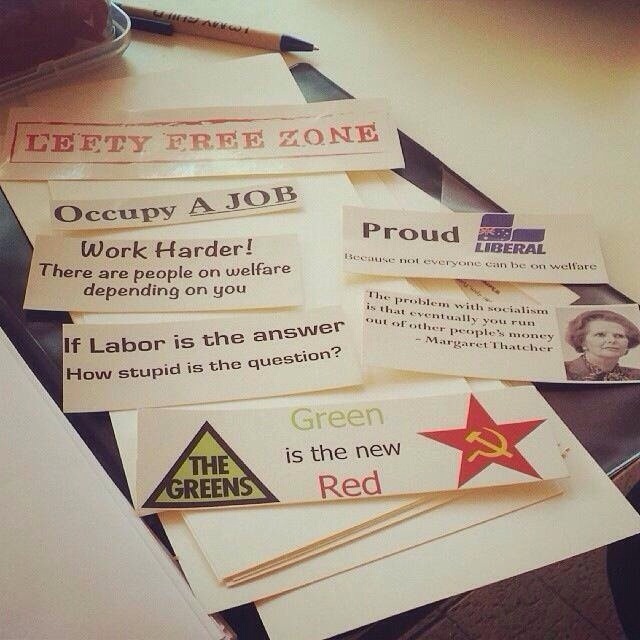 It should come as no surprise that these images of offensive Liberal stickers were making the rounds online tonight, prompting both public outrage and feelings of shame towards the young Australians who handed them out. What was not expected however, was who exactly now seems to be the source of this offensive muck; Federal Liberal MP, Ian Goodenough. The extent of his involvement is not certain, though to stand behind these stickers is enough. 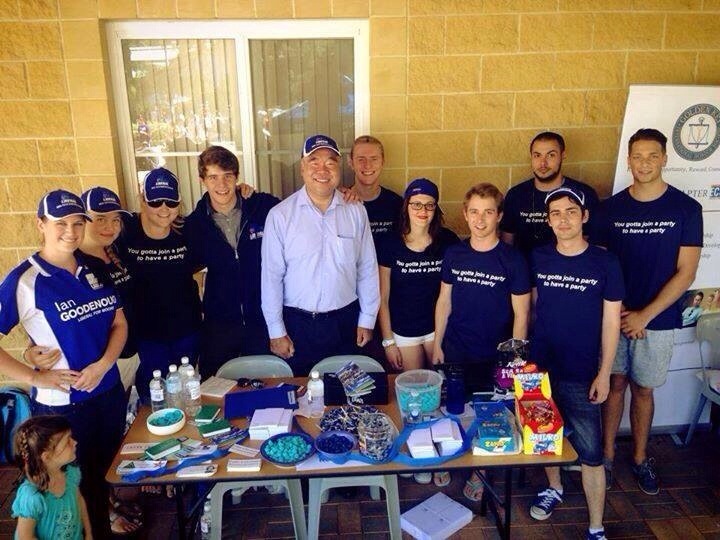 Students, along with the local member for Moore, did their best to promote hatred towards those who aren’t Liberals and those who are disabled, unemployed, aged, a carer or on Newstart (as many students at Orientation would have been) with the attitude, “Go Liberal or go home”. As generally decent human beings, we are able to identify the maliciousness behind these stickers and are well-aware to steer clear of such rubbish. It is unfortunate however, that we are still witnessing that the very same hate-mongering that won the LNP the election is alive and well, even amongst our youth. It’s safe to say that Goodenough, this is just not good enough. Trying to warp young minds – while typical of LNP – should not be a tactic undertaken by any politician, especially at a university Orientation Day. This entry was posted in Politics and tagged government, liberal, lnp, politics, Tonyabbott on February 19, 2014 by leesalittle. 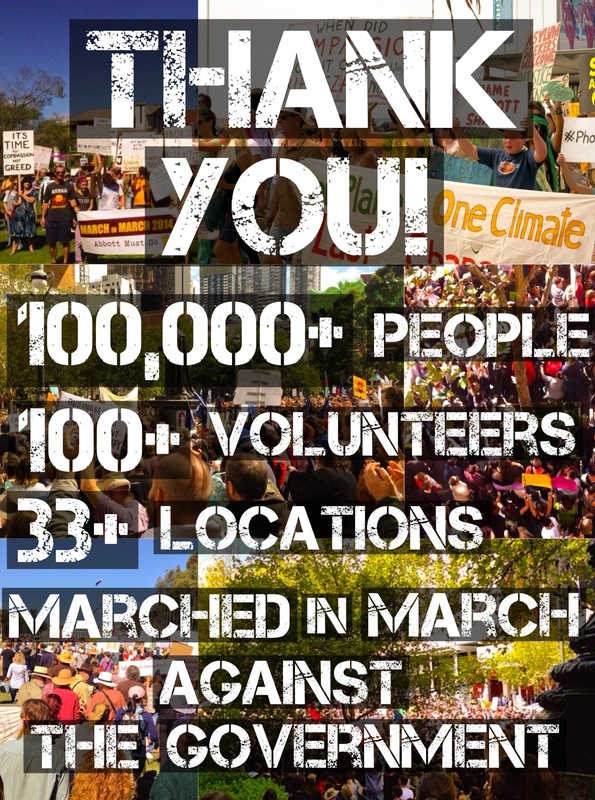 March in March Australia 2014: What Are YOU Marching For? 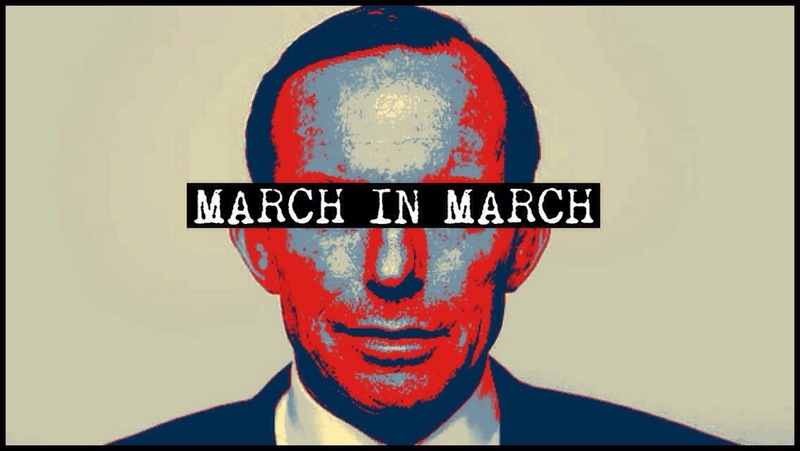 March in March is a national protest as a vote of no confidence in the Abbott Government’s policies. This is an open idea that umbrellas a vast collection of the public’s concerns and issues with the current government’s actions and policies. The unfortunate reality for Australians is that there are too many critical issues to name, despite all of our efforts to do so. It is because of this that supporters are invited to march for the individual causes that are important to them and to make these issues known. We are agreed that we are marching for three primary ideals; accountability, transparency and decency. It is under these ideals that our individual concerns fall. So for us to march with focus on accountability, transparency and decency from and within our Government, we are marching in a way that is entirely inclusive of all of our individual concerns. Please let us know what you will be marching for this coming March 2014 by voting in the poll below. You may select as many options as you would like and choose with your heart, mind or both. Please post a comment with an issue if it has not been included and it will be added to the poll. The results will give us a clear indication as to which issues are most important to Australians and will assist in providing an entirely accurate representation of supporters’ concerns. This entry was posted in Politics and tagged auspol, australia, government, lnp, march in march, politics on January 27, 2014 by leesalittle. March in March is a national action as a vote of no confidence in the Abbott Government’s policies. The protest will be held peacefully in March 2014 in various locations across Australia. The argument that March in March is affiliated with any particular political party is entirely incorrect. In fact, the purpose of the action is to communicate what we, as concerned Australian citizens want for our country. It should not be viewed as an attack on the Abbott Government, but rather a movement towards a dialogue with our current Government, as they have been shamelessly ignorant and indifferent to the public’s concerns to date. Former independent MP, Ted Mack described what are many of the same views held by the organisers of March in March during his Henry Parkes Oration in October 2013. He highlights the faults of our current political system and makes suggestions as to how to correct these long-standing faults. You can read his full speech, including his ideas for inspiring effective change, here. Particularly of interest was his concept of an open government – the idea that the workings of government should be open to public scrutiny. Given the current political circumstances, this is especially necessary. At present we are being governed by those who believe that secrecy is the best policy, despite the public’s outrage at such a notion. Ted Mack explains that “elected representatives should enable people to not only participate in decisions that affect them but ultimately to find ways to have people make decisions for themselves”. He continues by describing that the very basis of democracy is that decisions made as a whole “will be right more often than decisions taken by an elite group, no matter how wise that group is”. 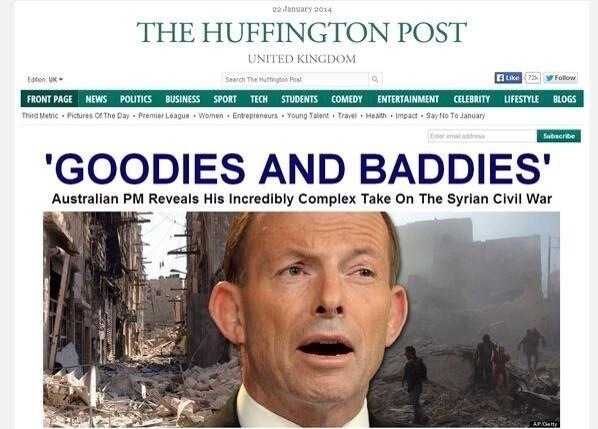 The recent belittling of the Syria civil war by referring to it as a matter of ‘goodies’ and ‘baddies’ by Tony Abbott exemplifies the complete lack of sense possessed by our current Prime Minister. So in regard to Ted Mack’s aforementioned comments, it would be safe to say that given the unwise nature of the current government’s leader, we should be more inclined to ask to be granted such decision-making capacity for ourselves. How we’re seen by the world: our PM on the Huffington Post UK. Mack notes that during the 2010-13 Federal Parliament, the major parties did little towards any valuable form of democratic debate, but rather focused their attention towards character assassinations of one another. What we witnessed throughout the 2013 election campaign especially, was a party whose every move to begin such constructive debate resulted in them being torn limb from limb by the LNP, assisted of course by a massive backing in Rupert Murdoch and his media empire. They used every moment of grandstanding to belittle the ALP – both personally and professionally – and to further their fear-mongering amongst the voters. Somehow it won them the election. Now they’re scrambling to undo all of Labor’s policies at the fastest rate possible, leaving behind a sea of disgruntled Australians who are desperately begging them to reconsider. 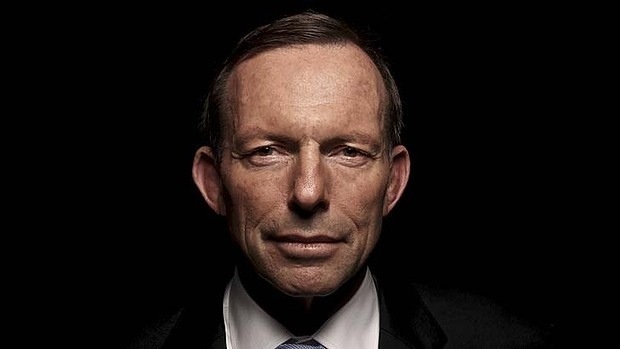 Although the ALP vs. LNP battle has been won for now, with the LNP’s election win, Mr Abbott still insists on belittling the ALP’s decisions, now taking his campaign to the world-stage. 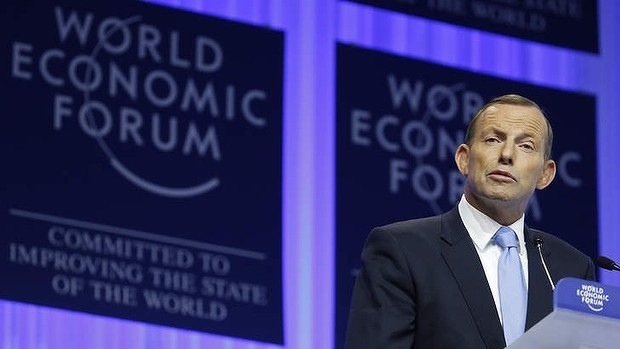 Only days ago at the World Economic Forum in Davos, Switzerland, Abbott chose to again look to the past and criticise the Opposition, rather than focus on creating a positive plan for our country. He told a collective of the world’s top political and business leaders that, “In the decade prior to the crisis, consistent surpluses and a preference for business helped my country, Australia, to become one of the world’s best-performing economies,”. He then took his swipe at the former leaders of ‘his’ country by explaining that, “Then a subsequent government decided that the crisis had changed the rules and that we should spend our way to prosperity.” – from the SMH. The suggestion that Australia (under Labor) did not need to stimulate the economy during the global financial crisis is ludicrous, given that there was near-unanimous advice of economists and the Treasury to take such action. If only the LNP were to realise that this is not between them and the ALP, this is now between them and Australia; they have no point to prove, only work to be done. Also of important consideration is, as Mack described, that “voting within parties is often based on what faction members belong to, who wants to become or stay a minister or who wants to be party leader”. What we are left with is a party that consists of individuals who are less concerned about the public’s best interests and are more focused on their own personal advancement and alliances. Mack continues by explaining that “what the electors think is at best a secondary consideration” and that “party members almost always follow the party line and are often voting against what they really believe or what their electors want”. 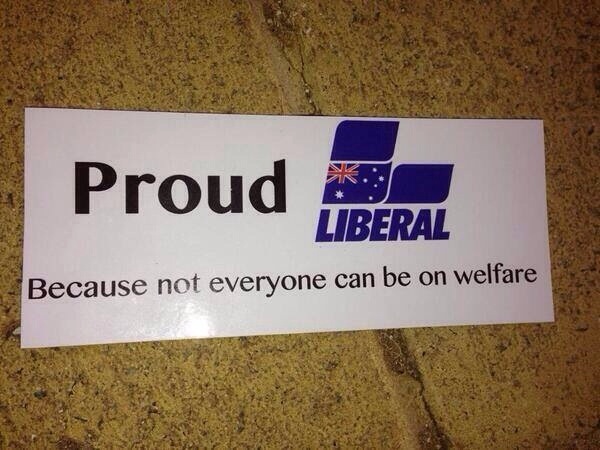 Liberal MP, Ken O’Dowd has very recently been quoted regarding his view on the welfare system. In an audio of a meeting that was heard by Fairfax Media, Mr O’Dowd expressed that too many people in Australia were exploiting the social security system and that something needed to be done to stop the “welfare cheats”. He then recalled a conversation he recently had with billionaire Gina Rinehart wherein she refers to him personally and colloquially. He told the community meeting that “[Mrs Rinehart’s] biggest whinge to me was, she said, ‘Ken, you blokes in Canberra have got to stop the welfare system’,” he furthered the incriminating statement by detailing Rinehart’s quote, “There is 60 per cent of Australians on some sort of welfare payment. [Mrs Rinehart] said, ‘They can’t be all that badly off’.” – SMH. 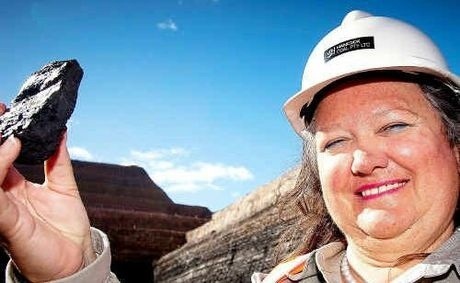 Why would an MP have such friendly relations with big-business billionaires such as Rinehart? Given the recent tax break granted to mining companies, one would think that an MP would be intelligent enough not to brag about being influenced (whether he believes it to be directly or indirectly), by a mining company billionaire regarding the slashing of welfare funding; especially considering that for the most part, Australians are outraged that these cuts have been pursued in the first place. There is no denying the direct influence that billionaire individuals and their respective companies have had on the LNP. We cannot help but to feel as though we as Australian citizens have become a business acquisition since the election. In saying all of the above, it is also important to understand that the voting system is indeed flawed and those of us begging the question, “how did the LNP come into power despite all of its unwanted policies” may now have an answer. When Labor didn’t have the chance to present a clearly better option (valuable time was wasted defending against LNP’s baseless claims), those whose minds weren’t made up voted based on the ‘no other option’ perspective. There were of course other options, but not many were willing to vote outside of the two-party system due to their misguided fear that they would fall within the minority and would ultimately be wasting a vote. Mack believes that Australia’s electoral systems (both federal and state – excluding the ACT and Tasmania), are in clear breach of Article 25 of the International Covenant on Civil and Political Rights. He explains that “as things stand Australian democracy consists of voting in a rigged system every few years to elect others to make decisions for us” and that “the voters mostly know little or nothing about candidates; we are rarely permitted to have our say on policies”. Despite the fact that the majority do not want to have decisions made for us in every capacity without any say, the current Government seems to take the scarily dominant position that “you chose us so deal with it”. Unfortunately for them, this is not the kind of leadership that we, as the knowledgeable and aware will accept from our government. This is why we are uniting to demand our right to be heard. Ideally, the LNP would take this action not as a threat, but as step towards a more democratic system. If they can pry themselves from their personal interests and from finding ways to benefit only big business, Australia would be better as a whole. Mack describes big business’ yearn for more centralisation of power, rather than the democratic system in that it “spends millions of dollars to subvert democracy”. So far it is certainly true that they’ve found the perfect puppets to do their bidding; the question is, will the LNP ever change focus and aim to be a beneficial government for the entire country, rather than for only a select few? Transparency, accountability, democracy – that is what we’re marching for. March in March Australia 2014: Event times, dates and locations. March in March Australia 2014: A national protest as a vote of no confidence in the Abbott Government’s policies. Cory Bernardi: Conservative values or an excuse to be a bigot? This entry was posted in Politics and tagged abbott, australia, government, march in march, protest on January 24, 2014 by leesalittle. Times, dates and meeting places for March in March Australia locations are listed below. This will be regularly updated with information as it becomes available. You can read more about the March in March protests here. Please consider a donation to March in March by visiting our crowd-funding page here. Facebook users can RSVP to their local event (entirely optional) via the links above. Non-Facebook users can visit March in March Australia’s website here. You can also follow us on Twitter here. Again, this post will be regularly updated with individual event details as they become available. You can also visit the original post here for more information on March in March. This entry was posted in Politics and tagged abbott, auspol, government, march in march, politics, protest on January 19, 2014 by leesalittle.